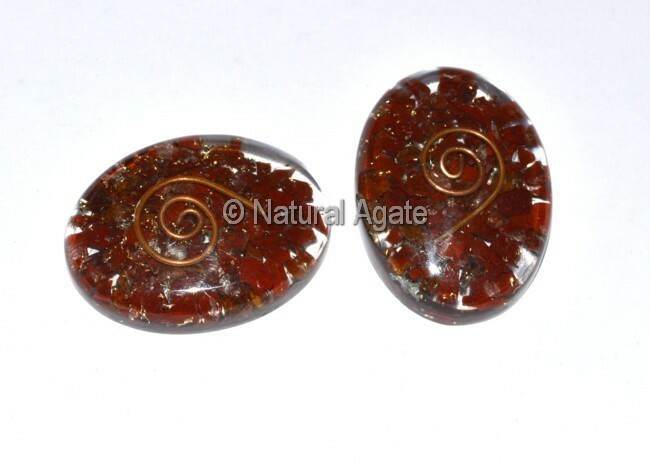 Red jasper orgone oval can be carried in a pocket or can be used for decorating house. This cabochon gives you courage and strength. It balances your body, mind and soul. You can buy it from Natural Agate.